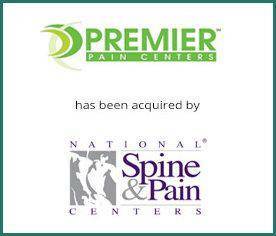 Premier Pain Centers (Premier) and Specialty Anesthesia Associates (SAA) have been acquired by National Spine & Pain Centers (NSPC). Premier provides interventional pain management services to seven locations throughout New Jersey, while SAA provides anesthesia services to seven New Jersey ambulatory surgery centers. Provident Healthcare Partners served as exclusive financial advisor to Premier and SAA. The terms of the transaction were not disclosed. “We are thrilled to be joining such a fantastic group of physicians and healthcare leaders at National Spine & Pain Centers. Leveraging our collective strengths, I believe we can improve patient care and significantly advance pain care in this country,” says Dr. Peter Staats, shareholder of Premier and SAA. “The partnership of Premier and NSPC makes perfect sense both from both a clinical philosophy and a geographic fit as they expand their national footprint. I believe Premier will expedite their expansion by leveraging the infrastructure and additional ancillary lines of business NSPC currently has in place,” stated Michael Patton, Managing Director at Provident Healthcare Partners. Premier Pain Centers, established in 2000, ranks among the most comprehensive centers for the treatment of acute and chronic pain. Premier provides acute and chronic pain treatment from leading physicians trained at the finest residency and fellowship institutions. Premier Pain Centers has seven pain offices spanning three counties in central New Jersey and the northern Jersey Shore. The center specializes in obtaining dramatic results in pain management without the need for major surgery. Premier is also a leader in pain management research, conducting clinical trials and authoring text books. For more information, please visit http://www.spinalpainspecialists.com/. National Spine & Pain Centers (NSPC) is the nation’s leading network of pain management practices with over 70 pain physicians on staff, many of whom are award-winning for quality care and have extensively published over the course of decades. NSPC now has more than 55 locations in Connecticut, Maryland, New Jersey, New York, Virginia, Washington DC and West Virginia. Call or visit treatingpain.com to access a complete list of providers, centers, conditions served, and treatment solutions. Appointments are typically available in 24-48 hours based on individual preference. Most insurances are accepted including Tricare and Worker’s Compensation. For more information, please visit https://treatingpain.com.